I’ve been working with guys (yes these are all guys) recently who seem to want to change important people in their lives. Perhaps it’s just that they have developed more clarity themselves recently. Maybe they’ve seen and are working on behavior patterns of their own that don’t serve them well and are eager to see others follow suit. I’ve found that the only person I can affect any changes to is ME. And while it may be frustrating (letting our expectations run wild) to see others struggle, only by altering me and how I relate to the others am I able to change that interaction. A metaphor I developed to explain why this “change my partner, kid, spouse” concept is usually unproductive is the golf swing. We are the golfer. 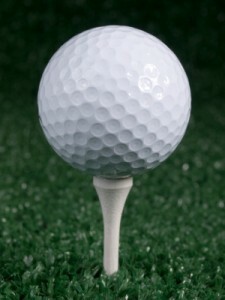 The other person is the golf ball. We set the ball on the tee (or it’s already in the fairway, rough, or sand) and we cannot touch it. A cardinal rule in golf, and so it seems in life, would be to “hit it where it lies”. The only thing we can do is construct our swing to get the best results out of the situation. If it does not produce the desired result, then next time we can vary the process and adjust the swing so something different happens. Once the ball leaves the club head (based on our swing, not the ball’s behavior patterns or even wishes), it’s going to go where the physics take it. If we have a consistent slice, we simply cannot hold the ball responsible. Our swing is responsible. WE ARE RESPONSIBLE. Change the swing (us) and the ball (he or she) will behave differently.